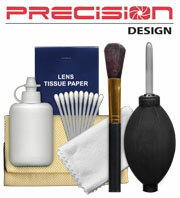 The perfect accessory for cleaning your camera and lenses. 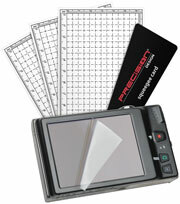 Need to remove fingerprints, smudges, dust and dirt or just about anything from your DSLR camera? 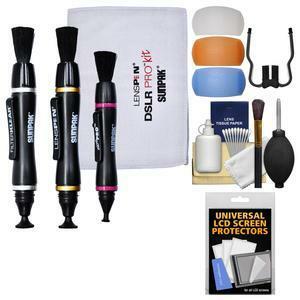 The Lenspen Pro Pack can exceed the challenge! 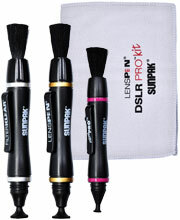 Lenspens are safe, fast and easy to use on any optical lens, filter, eyepiece or LCD screen. They use a unique carbon formula with no liquids to spill out or dry up which makes them environmentally friendly, and non-toxic too. 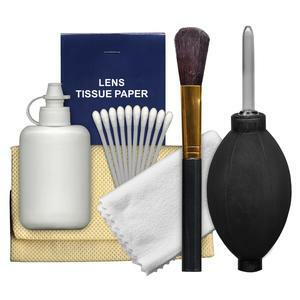 Each LensPen cleaning tip is infused with an invisible carbon formula that absorbs oily residues and contaminants, making it the most effective cleaning tool available. 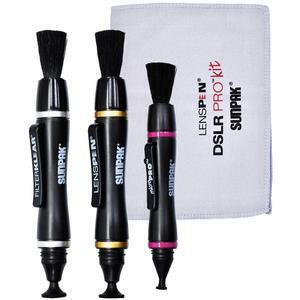 When it comes to performance, the Lenspen Pro Pack offers an extra-long life with up to 500 cleanings per pen. The Lenspen's ultra-compact design fits in your pocket, clips to your camera strap or in your bag without taking up valuable space. And at less than an ounce, the Lenspen won't weigh you down no mater where your travels take you. In addition, the Lenspen outperforms all other cleaning methods when it comes to removing fingerprints, smudges, dust and dirt. And it does it safer, faster and easier too! This Pro Pack comes with 3 Lenspens: an original Lenspen to clean your lenses, the MicroPRO to clean your viewfinder, and the FilterKlear to clean your filters. 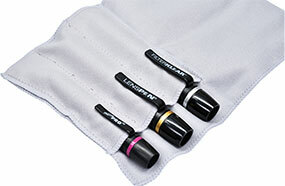 It also includes a soft microfiber cloth with 3 pouches to conveniently store your Lenspens. 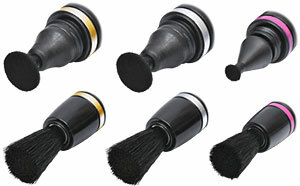 The retractable, ultra soft natural brush effectively and safely removes dust, dirt and grit prior to cleaning a lens, filter, eyepiece or LCD screen surface with the LensPen cleaning tip. This is the business end of the Lenspen, with a rubber-based, ultra-soft, concave and flat chamois surface, infused with Lenspen's proprietary carbon cleaning compound that absorbs grease, grime and finger prints for 500 uses. Two uses in one! 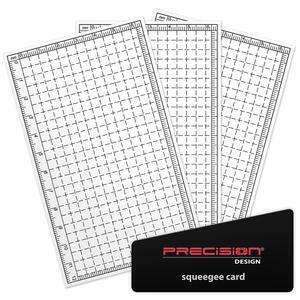 This cleaning cloth is perfect for cleaning your optics, and it doubles as a pouch to hold your Lenspens. Soften, warm and cool light for professional results. 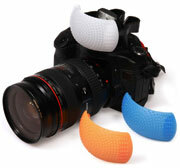 This Color Diffuser Filter Set provides a selection of plastic diffusion and color correction caps for use with DSLR pop-up flashes. It includes a soft white diffuser that will soften the light from the built-in flash, a 1/2 warming diffuser that will warm the light, and a 1/2 cooling diffuser that will cool the light. 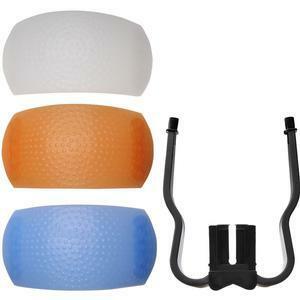 This diffuser set easily mounts on the hot shoe slot of most cameras with a pop-up flash, greatly softening the quality of light. It's great for portraits, candids and close-ups. The height of each diffuser is adjustable -- its twin prongs fit into any of the ten sets of holes at the rear of the diffuser -- for a perfect fit with almost any camera model.